Edelrid discovered a “Turn” pulley with a defective rivet. The axle holding the pulley and the side plates together was not fully riveted to the found pulley. A side plate could therefore come loose and unintentionally release the rope. 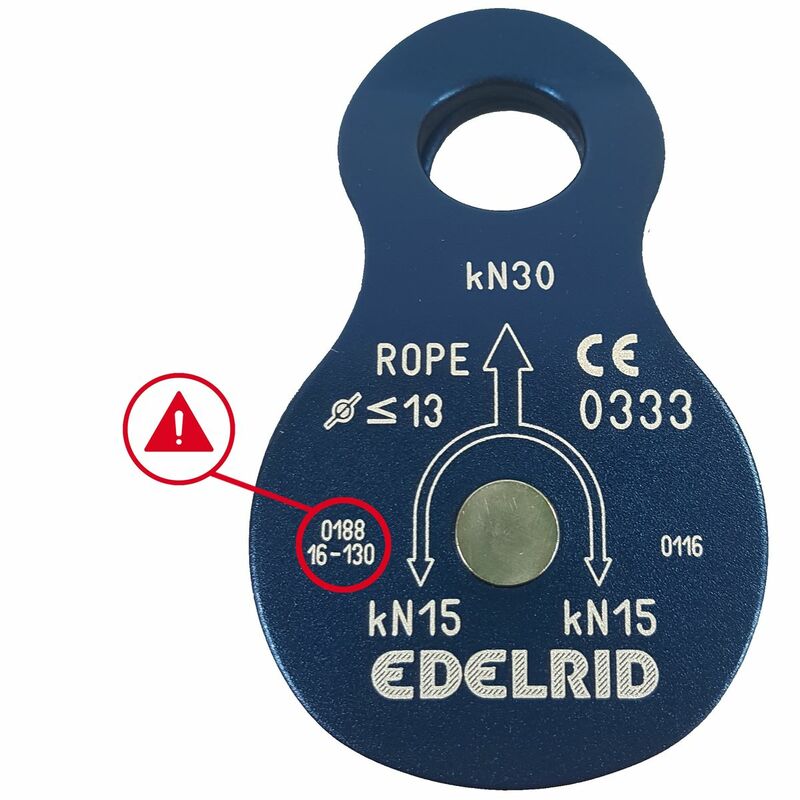 Since the manufacturer cannot rule out the possibility that there may be other pulleys with defective rivets in circulation, Edelrid calls on all Turn users to check them. The inspection concerns Turn pulleys with the batch number XXXX 18-150.